We met Ryan Pickens of Esther Glen Farm and Winery at the Uncommon Wine Festival at Vista Hills Vineyard, and had a chance to taste his wines. This was his first time at the festival. The name comes from Esther and Glen who came to the Dundee Hills in the 1960’s to start their holistic farm and be self-sustaining. In 1970 Craig Rathkey came to Esther Glen. He was farming with a 1950 Vintage Formal Cub tractor and a 1948 John Deer “M” tractor. He restores old tractors, as well as antique clocks. In 2015 Ryan Pickens met Craig Rathkey and now Ryan makes wine with the sustainably farmed grapes grown on the vineyard. The Estate is 15 acres located on the Willamette Valley Floor across the street from Sokol Blosser. 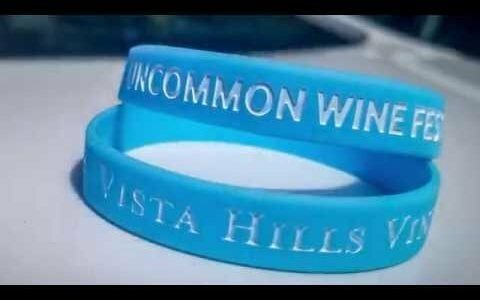 Watch for more Videos, with more Wine Makers from this year’s Uncommon Wine Festival 2018 at Vista Hills Winery.